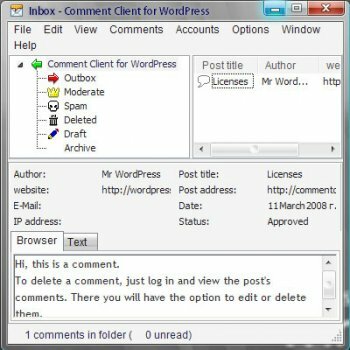 Comment Client for WordPress lets you view, edit, delete, and moderate comments without opening a Web browser. No more lengthy delays and no need to open WordPress every time you need to approve or flag a comment as spam. Save Internet bandwidth and make edits faster with a desktop administration tool.